While using the Google Tag Manager user interface around Halloween 2018, you might have noticed a new tab in Google Tag Manager’s Preview mode. 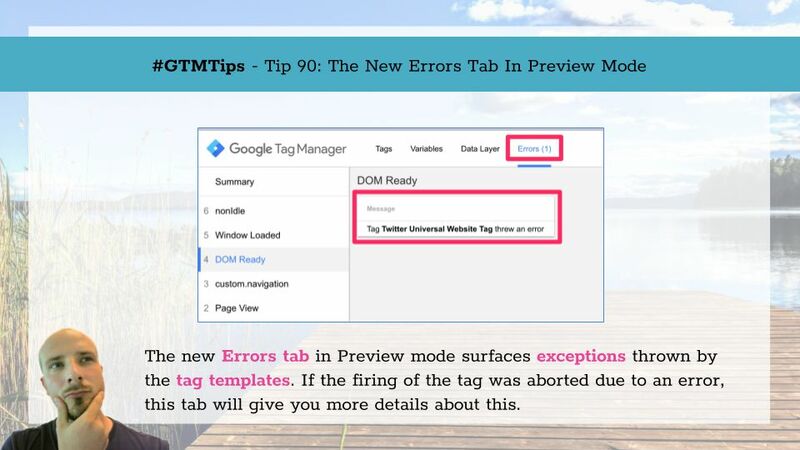 The tab is named Errors and shows you the number of exceptions thrown by GTM’s tag templates on the page. In this short #GTMTips post, I’ll quickly walk you through what the tab shows. 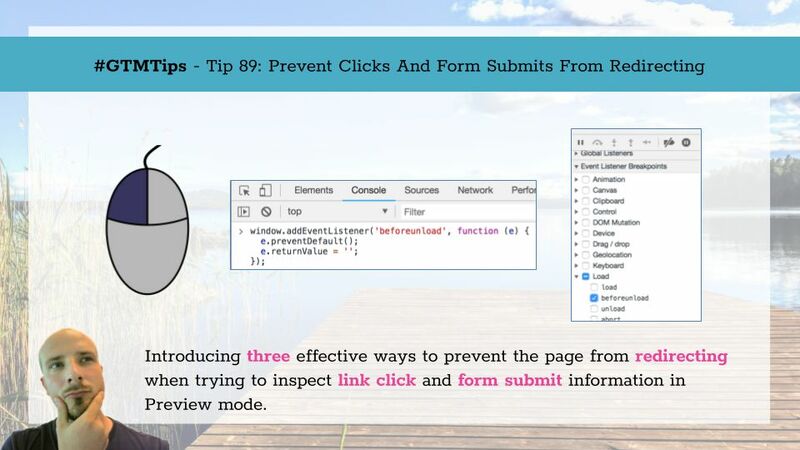 Tip 90: The Errors Tab In Preview Mode The tab’s name is an apt description of what the tab shows. Google Tag Manager offers us some nice built-in triggers so that we can automatically listen for specific user interactions on the website, reacting to them however we wish, though typically it would be to fire a tag. The tricky thing especially with the click triggers and form submission tracking is that the page has a nasty habit of redirecting you to the link or form target page before letting you see the respective data in Google Tag Manager’s excellent preview mode.